After an almost five-year hiatus, Somali pirates are back. On March 13, a dozen armed Somali pirates attacked and successfully hijacked a commercial oil tanker, Aris 13, which had been carrying fuel from Djibouti to Mogadishu. The tanker is now apparently docked in the coastal Somali town of Xabo, and the pirates are beginning to negotiate a ransom payment in exchange for releasing the hijacked crew. This attack underscores that the Somali piracy threat is real and that it can resurface at any time- and particularly, if “western” countries let their anti-piracy guard down. Piracy attacks off the coast of Somalia skyrocketed between 2008-2011, when the maritime community witnessed hundreds of attacks per year. In 2011, the world community experienced a total of 151 piracy attacks (down to just 17 in 2015). Attacks in this region were fueled by several factors, including the fact that Somali coast, and in particular the Gulf of Aden, are a commonly used shipping route from Europe to Asia, that most commercial vessels sailed unarmed and unprotected and were thus easy targets, that shipping companies, and at times countries, seemed willing to pay multi-million dollar ransoms, and that Somalia has been a lawless country where pirates can freely dock their ships and hold their victims while awaiting ransom. The first factor (geography) as well as the last (lawlessness in Somalia) have not changed until today. What had changed and contributed significantly toward the decrease of piracy attacks were enhanced anti-piracy efforts by maritime nations, which have included the presence of armed guards onboard commercial vessels, as well as more careful routing of vessels, to avoid sailing too close to the Somali coast. In addition, several maritime nations as well as NATO launched anti-piracy operations in the region (NATO Operation Ocean Shield), which were able to successfully deter attacks. As I, and others, have written before, Somali piracy has always been a crime of opportunity fueled by poverty in Somalia and the ease at which piracy attacks were successfully executed, at least in the beginning of the modern-day piracy era. With increased maritime surveillance and anti-piracy operations in the region and armed guards onboard vessels, Somali pirates halted their operations and apparently re-routed their efforts toward more lucrative endeavors such as arms trafficking. But they did not go away and instead waited for the opportunity to resume piratical attacks off the coast of Somalia. This opportunity to resume may have come now. In December 2016, NATO officials announced that anti-piracy operations, which had been extremely successful, were no longer necessary as piracy attacks seemed to have practically disappeared. Some shipping companies may have become less vigilant in their routing, allowing ships to sail closer to the Somali coast (as was the case of Aris 13), and some may have ceased using expensive armed guards (Aris 13 was not protected by armed guards). According to a maritime industry analyst, today only about 35-40 per cent of ships have armed guards on board. Thus, the perfect piracy opportunity may have arisen again and Somali pirates seized upon it. This attack’s modus operandi is identical to the previous piracy model, where pirates go after unprotected commercial vessels sailing close to the Somali shore and hijack the vessel and its crew, in order to demand a multi-million dollar ransom. In the present hijacking of Aris 13, the cargo (fuel) may be of additional value to the pirates as it can be somewhat easily resold on the black market. In fact, hijacking oil tankers with the purpose of reselling the fuel has been the more specific modus operandi of Gulf of Guinea pirates, whose focus seemed to be less on hijacking crew members for ransom and more on the value of stolen cargo. Somali pirates seem to be back – having perhaps learned from their West Africa counterparts that cargo can be valuable too – and the international community may have to re-engage in serious anti-piracy efforts, to ensure that piracy does not re-fluorish in 2017. The Supreme Court of the United States may decide in the near future whether Sea Shepherds are pirates. The Sea Shepherds, a marine conservationist not-for-profit organization, which has been the subject of an injunction requested by The Institute for Cetacean Research (ICR), a Japanese whaling company, and issued by the Ninth Circuit, has petitioned the Supreme Court for a writ of certiorari, asking the Court to review the Ninth Circuit’s decision to issue the injunction. The Ninth Circuit had determined that the Sea Shepherds’ activities – attempts to interfere with whaling activities by throwing bottles of a foul-smelling but benign substance called butyric acid on the decks of whaling ships, towing lines across the bows of such vessels in an attempt to entangle their propellers and slow them, and piloting its own vessels near the whaling ships to impede whaling, in a way that rendered collision likely – constituted piracy. 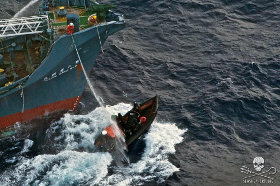 Because of the piracy categorization, the Ninth Circuit proclaimed that it could assert extra-territorial jurisdiction for the purposes of supporting the injunction issued against Sea Shepherds (the injunction, issued sua sponte by the Ninth Circuit, prohibited Sea Shepherds from going near ICR vessels, from endangering the safe navigation of these vessels and from attacking them – activities that would occur outside the territorial jurisdiction of the United States). The piracy label was thus crucial for the Ninth Circuit’s holding – that it could exercise extra-territorial jurisdiction and order compliance with this overseas injunction. The piracy categorization, however, is controversial. This post will explore two issues related to the Ninth Circuit’s view of piracy: whether the “private ends” requirement of the United Nations Convention on the Law of the Seas (UNCLOS) definition of piracy encompasses acts by private parties committed for non-pecuniary ends, and what threshold of violence is required for acts to rise to the level of piracy under the same treaty. Other scholars and I had previously written on the issue of whether the Sea Shepherds’ actions – committed for non-pecuniary ends- constituted piracy under international law. Eugene Kontorovich and Jon Bellish argued that as long as actions are committed by private parties, such actions would constitute “private ends” for the purposes of the piracy definition under UNCLOS. According to Kontorovich and Bellish, it does not matter whether acts are committed for political, environmental, or pecuniary ends; as long as they are committed by private parties, they will satisfy the UNCLOS definition of piracy. Kevin Jon Heller and yours truly had a different view, arguing that only acts committed for truly private ends could satisfy the definition of piracy, and that Sea Shepherds could not be considered pirates. In this petition for a writ of certiorari, the Sea Shepherds are asking the Supreme Court to review the Ninth Circuit’s decision that Sea Shepherds are pirates because they are committing acts of violence for private ends, regardless of the fact that their goals are completely non-pecuniary. The Ninth Circuit viewed piracy not as robbery at sea, but as somewhat violent acts committed by private parties at sea. According to the petition for a writ of certiorari, the Supreme Court should review the Ninth Circuit’s decision because: “this case is not about piracy. It is about whether the federal courts may create new law and enforce it extraterritorially, without authorization by Congress, and in defiance of the mandates of this Court.” The petitioners/Sea Shepherds are referring here to the infamous Kiobel case, which the United States Supreme Court handed down after the Ninth Circuit’s issuance of the injunction in this case. A discussion of the Kiobel case is beyond the scope of this post, but it suffices to point out that the Kiobel case limited the ability of United States federal courts to exercise extra-territorial jurisdiction in suits arising under the Alien Tort Statute, which ICR/respondents had relied upon in this case in order to sue Sea Shepherds. Moreover, Sea Shepherds/petitioners point out that while there is universal agreement that piracy is a fundamental crime under international law, the content of the piracy definition is not well-settled, as the above scholarly disagreement demonstrates. It is unclear what the “private ends” requirement encompasses, and consequently, the content of the piracy definition/norm is not sufficiently clear to support jurisdiction under the Alien Tort Statute. Less has been written about the threshold of violence necessary for a finding of piracy under international law. The Sea Shepherds’ petition for writ of certiorari argues that the piracy norm under international law is not sufficiently clear to support jurisdiction under the Alien Tort Statute, because of disagreement as to what level of violence is necessary to support a finding of piracy. The petition additionally argues that the Ninth Circuit was wrong in holding that a minimal level of violence would be sufficient for a finding of piracy under UNCLOS, because other courts and authorities have found that piracy, as a serious crime warranting extremely high penalties, requires a finding of overt violence of a sufficient degree, such as robbery, murder, destruction by fire, etc., committed on the high seas. Whether the Alien Tort Statute provides jurisdiction for an extraterritorial injunction regulating otherwise legal behavior on the high seas and in waters claimed by another sovereign, based on a norm of customary international law whose meaning is disputed within the international community. Whether a U.S. federal court may use its contempt power to sanction conduct that violates the “spirit,” but not the express terms, of an injunction. For the purposes of piracy scholarship, the first question is the more interesting one. It is unclear at this point whether the Supreme Court will accept this petition; if it does, stay tuned for additional posts on these fascinating issues. It is our pleasure to introduce today’s contributor, Thomas Bennett, LLB MSc (Oxon) Solicitor. Thomas Bennett LLB MSc (Oxon) Solicitor. 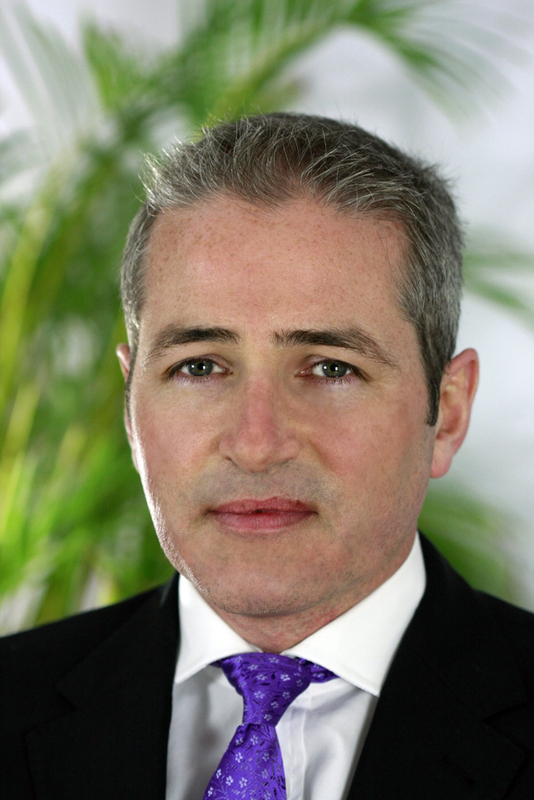 Thomas Bennett qualified as a corporate lawyer in 1995. He practiced corporate finance law in a ‘magic circle’ law firm in The City of London and has a higher business degree from the Saïd Business School at the University of Oxford. He was a legal adviser and business consultant to Protection Vessels International Limited thereafter Protection Group International Limited from 2010 until 2013. In 2012 Tom was a visiting professor of maritime security at the World Maritime University in Malmo Sweden. Tom is the owner of VHenry&Co. and VHenry&Co. Limited. The former is a legal practice, the latter an advisory business each specialising in the needs of the security sector (maritime, land and information security). Somalia remains a failed state. Poverty, the absence of enforced law and psychopathy masquerading as a just cause foments an environment where money for gain, or money to finance terror, means that piracy in The Indian Ocean has not gone away. What started in the Somalian North as a tax on shipping is a continuing threat to global trade. Still; maritime piracy has abated. Nation states have acted, armed guards have helped. The threat has been contained. Has it? It is a brave shipping company who sends an unprotected crew through the high risk area of The Indian Ocean. And if the rationale for piracy remains, then piracy remains. Somalia, lawless as it is, will wait. Western powers will not finance armed forces to patrol the Indian Ocean indefinitely. The maritime industry will price the risk according to the threat. The probability of piracy has diminished. The business of maritime security must adjust. As the perception of threat falls, so will the cost of protection. Competition will force prices down and many armed security companies will not survive. Some will merge. Consolidation is inevitable. Or so it seems. Maritime security is still big business. We estimate that total transit revenue in The Indian Ocean is $400 million a year. The supply chain ranges from nation states to former servicemen, maritime agents to legitimate dealers in arms. All vested interests. All of who take their piece of the whole. Today, prices for transits on vanilla routes are so low that it is hard to discern how a profit is achieved. If there is no more profit to be had, then competitive tension is designed to push all but a few players in this market to mutually assured destruction. Gifting weapons to non-state actors is not without precedent. This gift does, however, breach most political theory as to who should have the right to bear arms. Regulation is and was inevitable. Law only works when it is applied to all; and regulation – the benchmark against which the use of lethal weapons is measured, should have the force of law. It does not. ISO28007 has not worked. Some have it; some do not. There are many buyers who do not require it. There are many sellers who do not bother. BIMCO’s recent endorsement of ISO28007 may help. It may be too late. Buying patterns are entrenched. Too many stand outside Anglo-centric regulatory initiatives. It is easy to do so, legally, practically. As former Royal Marines increasingly price themselves out of the market for guards, a once Anglo-centric market along with its regulatory attire, becomes increasingly irrelevant. ISO28007 may remain the standard for some; edicts from the UK may be the benchmark for others, but, economics is forcing this marketplace to change. There is a very long tail of buyers who have little time for edict; and an equally long tail of sellers who go along. Who does; who can, police this market? Flag states perhaps. Yet the paradox of policing a market that pays well usually results in piecemeal regulation at best. After all, piracy is a diminishing threat – no vessels have been taken within corporate memory. So why change? Qui bono? What of littoral states – those adjacent to the High Risk Area? Again, there are economic imperatives at work. Nation states and their agents do well out of maritime security. There is no overwhelming rationale for change. What of Sri Lanka, the UAE and Oman? Sri Lanka’s place in maritime security is channelled through Avant Garde Maritime Services (AGMS) under a public private partnership with RALL. AGMS is being critically evaluated by the new government. The suggestion is that the Srisena government will change the way it regulates the way in which weapons and men are distributed to passing vessels. In which case, AGMS may lose control. But Sri Lanka, will not. Pre-AGMS, weapons were held on land and disseminated by the Sri Lankan Navy. Fees were paid. The state took control then; it may do so again. As to Oman, or The UAE, or indeed any of the littoral states adjacent to the outflow of The Red Sea, there seems to be little real appetite to manage the risks attached to having floating armouries within sight. Floating armouries are, of course, in international waters and the UN Convention on the Law of the Sea makes a fist of keeping these states away, however, one need only ask what Her Majesty’s government might do if there was a floating armoury bobbing about within sight of Plymouth. Which brings us back to regulation and market forces. Consolidation in the maritime security sector is inevitable. Or is it? It should be. Any standard business textbook on strategy will tell you that a market with multiple competitors will shrink to but a few. In a shrinking market, consolidation pressures are more intense. Companies will merge in order to marshal forces. Bankruptcy will emerge where sale, merger or deep pockets are absent. Consolidation has not happened. Why? Some have tried to diversify (PGI). Some have gone bump (GOAGT). Some have divested then gone bump (Drum Cussac). Some are grabbing market share (Ambrey). Others do what they do, well (Diapolous). The long tail? All are out there, with shrinking margins, taking risks, fighting to the death. And it is, perhaps, in this last phrase, that the clue to this market is apparent. We have seen at first hand, how former soldiers start companies in the space and trade their fighting spirit from the military to the commercial. The enemy bears a different name. And absent commercial experience (which most do not have) the strategic confusion amongst alpha males in charge of such companies leads to a community of egos who cannot see the benefits of cooperation in a disparate market. Who, after all, if two companies merge, is going to step down and be subservient to the other? Better to die trying than take orders from someone else. This is dangerous. In a poorly policed market, where the trade is civilians offering protection through resort to lethal force, a race to the bottom will result in cut corners. From four, to three; from two to one guard on a vessel – a poorly trained guard at that, economics and ego will force lip service to safety and the very reason guards are on vessels in the first place. Lose (no profit). Lose (no safety). Is there a solution that offers ship owners respite from this worst of all worlds; and offers the maritime security community respite from itself? There is. The answer lies in economies of scale. It lies in better logistics. It lies in cooperation and sometimes, in merger or sale. The market has already found the answer. Unfortunately it is, in its present guise, illegal and politically untenable. The model is this. Put a cheap guard on a salary; put him on vessel after vessel with a kit box and float him around the Indian Ocean for a couple of months, avoid land, make fleeting visits to floating armouries and you have a highly efficient business with very high gross margins. Once a guard’s salary and costs are paid, the additional revenue is all gravy. There is value in this (idealised) model. Most maritime companies do not have the infrastructure or the client base to support it. Instead, margins are decimated as a result of flights, agents’ fees, weapons storage costs, floating armoury charges, transfers, daily accommodation costs and hotels. If the next transit is a week away, profit may be lost altogether trying to keep guards in theatre. Profit will be lost sending them home. Weapons could be in the wrong place. Kit may be travelling in the wrong direction. Clever logistics management may help. But, fundamentally, a maritime security business trading on increasingly paper thin margins has to find efficiencies to survive. Unless, of course, it has that critical mass of men, equipment and transit volume. If it has, then clever logistics and financial modelling are key. Critical mass is an absolute. And if critical mass is not an option, common sense, clear strategic thinking and sound commercial management should force decent maritime security companies to find partners to buy or merge with. Get it right and profit will increase as logistics, financial modelling, economies of scale and buying power combine to force gross and net margins up. Get it wrong and bankruptcy or closure looms. Many maritime security companies understand decent logistics, efficiencies and the bottom line. But, they have not the client base to action it. Instead, it is actioned in a piecemeal way. It is actioned in an illegal manner. These efficiencies have led to the sharing of men and in particular, weapons. Sharing weapons is illegal, it is politically charged, it is extremely dangerous. Although no one has an absolutely precise figure to hand, we believe that there are at least 40,000 licensed weapons floating about or stored, ready for use, in The Indian Ocean. They sit on floating armouries, adjacent land or are in theatre under use. These weapons are not tracked on a real time basis. Companies are only put to proof when asked. In other words, regulation requires the sector to know what weapons they have and where they got them from. Under UK law, weapons cannot be leased, or licensed, or ‘lent’. Heavy sanctions wait for those companies that do. But, the congruence of economic necessity and piecemeal regulation (many maritime security companies have nothing to do with the UK) means that weapons are passed between companies and used on a mate’s basis. For some, if weapons are not shared, the efficiencies that the smaller companies need to survive through sharing, will be lost. It is beg, borrow, or go bust. Weapons swapping, sharing, hiring and licensing – it all leads to the same thing. It is not politically sustainable for enough arms to service a third world army to be bobbing about the sea with little idea as to who has what. The United Nations has taken notice, the US State Department has taken notice, the EU has worked it out and The British Foreign Office has been briefed. Unless the gift of allowing private citizens to bear arms is to be taken away (or managed) by nation states once again, sensible actors within the maritime security space need to consider how best to service their shareholders and maximise profit in a highly responsible manner – merge, consolidate, sell. Choose economies of scale, clever logistics, astute modelling and commercial cooperation. There really is no alternative. Weapons cannot and should not be traded at armouries or elsewhere. It is the beginning of the end. Equally, ship owners and charterers need to utilise their power and refuse to partake in this race to the bottom. It is, after all, the preservation of the safety of their men that is the end-game. And those that advise the maritime sector – its trade associations and the professional services who have done so well over the last five years, have to stand up for corporate social responsibility. We live in dangerous times. Somalia remains a failed state. Terrorism is prevalent in theatre. Meaningful regulation is piecemeal. Profit is being decimated. Corners are being cut. Weapons may start to go missing. There is a choice, a viable commercial solution for maritime security companies facing home truths. They must take it before it is too late. A Proposed African Court with Jurisdiction Over Piracy: How Will This Work? It is our pleasure to introduce Oliver Windrige as today’s guest contributor. Oliver Windridge is a British lawyer specializing in international human rights and international criminal law, currently based in The Hague, Netherlands. He is founder of the blog The ACtHPR Monitor, on twitter @acthpr_monitor. In June 2014 Oliver was one of five non-African lawyers to be appointed to the Court’s inaugural List of Counsel (pro bono). The views expressed herein are those of the author and do not necessarily reflect the views of any organisation affiliated to the author. Following on from my recent post at The ACtHPR Monitor on the future African Court on Justice and Human Rights (ACtJHR), this post explores at further length one of the other 14 crimes which will fall under the jurisdiction of the ACtJHR – piracy. As a brief introduction and recap, the African Court on Justice and Human Rights is a proposed African Union backed court. The ACttJHR has yet to become operational, requiring ratification from at least 15 African Union member states. Once operational, the ACtJHR will consist of three sections; a general affairs section dealing with commercial and civil matters, a human rights section that will replace the current African Court on Human and Peoples’ Rights, and an international criminal section which will have an ambitious jurisdiction over 14 international crimes including piracy as well as genocide, crimes against humanity and war crimes. That piracy is one of the ACtJHR’s 14 crimes is worth noting in and of itself. Since the court will have the backing of at least 15 AU member states it can be said to be a truly international, albeit continental, court and therefore can safely be referred to as the first international court with the jurisdiction to try piracy cases (the International Criminal Court (ICC) does not have jurisdiction over piracy). Until now the international element of piracy cases has been often seen as international cooperation in manning the seas, but it has been national jurisdictions- most notably in the Seychelles, Kenya and Mauritius- which have born the burden of prosecuting the cases, albeit with financial and professional help from other countries. The inclusion of piracy in the ACtJHR Statutes moves the cases themselves into the international arena and has the potential to bring piracy into a truly international setting, thus alleviating the burden from individual countries to prosecute these cases. c) any act of inciting or of intentionally facilitating an act described in sub paragraph (a) or (b). This definition is an exact replication of Article 101 of the United Nations Convention on the Law of the Sea with the addition of “boat” alongside ship or aircraft throughout. This is unsurprising given the Convention’s almost universal position as reflecting customary international law on piracy. iv. Attempts to commit any of the offences set forth in the present Statute. These modes of liability apply to all 14 crimes under the Court’s jurisdiction. It is interesting to note how some of these modes of liability mesh with the piracy definition: for example, Article 28F(c) refers to inciting piracy as a crime whereas Article 28N(i) refers to inciting as a mode of liability. Despite these small issues regarding the relationship between the definition of piracy and modes of liability, the ACtJHR Statute raises many more practical questions, not least of which is whether this court can really work? 2. A situation in which one or more of such crimes appears to have been committed is referred to the Prosecutor by the Assembly of Heads of State and Government of the African Union or the Peace and Security Council of the African Union. 3. The Prosecutor has initiated an investigation in respect of such a crime in accordance with article 46G. Therefore, even if countries with prevalent piracy issues such as Somalia are not a state party to the ACtHJR the Court will be able to exercise jurisdiction to hear the case if it is referred to by another state party, which raises the possibility of countries directly affected by piracy, for example Kenya or Tanzania, referring piracy matters to the Court. An interesting issue will be the capture of alleged pirates irrespective of who referred a piracy matter to the Court. Whilst there is general agreement that universal jurisdiction allows third party states to capture pirates who may be nationals of non-ACtJHR member states, it will be interesting to see how the interplay works between their capture and the handing over to the ACtHJR, since this process may result in several countries being involved. For example, piracy off the coast of Tanzania referred to the ACtJHR by Kenya could lead to the capture of Somali alleged pirates by the British Navy who could then be transferred to the ACtJHR for trial. The power of these patrols to carry out arrests would be unlikely to attract debate since it is long recognized that piracy enjoys universal jurisdiction. However, capture raises the issue of indictments. Under the ICTR, ICTY, ECCC, SCSL and ICC, indictments are issued against named persons, almost always not in the custody of the court. With piracy cases, however, it is far less likely that such named person indictments can be issued unless for particularly notorious leaders or land-based backers. Instead, the bulk of piracy arrests and transfers to the ACtJHR are likely to be those picked up on the high seas by patrols who find them. These alleged pirates will not be previously known to the authorities and will therefore not have named indictments issued against them unless a blanket indictment was somehow issued which would be fraught with additional legal issues. The lack of indictment is not necessarily a problem- people are arrested and detained for criminal offences at the national level everyday without outstanding indictments- but it is likely to be an administrative headache to process new indictments and still uphold the suspect’s rights to a first appearance without delay. This is to say nothing of the fact that the process of handling suspects without outstanding indictments is fundamentally different to that of suspects wanted for crimes such as genocide and crimes against humanity where a prosecutor often spends considerable time crafting indictments based on research and investigations. The difference between these indictments means that piracy prosecutions even within a international court such as the ACtJHR are likely to have more in common with a domestic robbery case than that of a genocide case. On the positive side, this could well mean a more efficient process since indictments would be relatively short, containing small numbers of charges and therefore lead to shorter trials, with smaller amounts of evidence and fewer witnesses required. On the negative side, these cases could be slowed down by a prosecutor having to put together a case only once an alleged pirate has been captured. This process of only starting investigations once a suspect is detained has the potential to massively slow down the whole judicial process and may well run counter to the prosecution office’s processes for trying crimes such as genocide and crimes against humanity. In reality, this could mean the ACtJHR international criminal law section will effectively contain two strands- a fast track/small cases chamber to deal with matters such as piracy and a second strand which would deal with larger cases of genocide, crimes against humanity, war crimes etc. In addition, some of the long held problems of prosecuting piracy at an international level may well come to the fore once the ACtJHR is up and running, namely the unwillingness of some countries to financially back prosecutions that have a large commercial element. Without wishing in any way to diminish the undoubtedly harrowing ordeals hostages are subjected to, there remains the fact that the victims of piracy include wealthy shipping and cargo companies- not the type of victims which usually illicit much sympathy from the international community. The issue of victims also leads to the issue of prosecuting piracy cases at the international level at all. As is often stated, the prosecution of crimes such as genocide and crime against humanity is more than just the prosecution of individuals but also the international community’s rejection of policies or ideals which lead to the crimes committed, as well as the international community’s condemnation of crimes it considers unacceptable and abhorrent. When it comes to piracy, there are no such policies or ideals- piracy occurs for financial reasons. Although it is recognised that the money may be financing an ideal or policy equally as abhorrent as those prosecuted through genocide or crimes against humanity, the fact remains that piracy is at its core a financial crime. This difference has the practical effect that different levels of perpetrators are likely to be tried for piracy matters compared to other international criminal law prosecutions. For example, where the International Criminal Tribunal for Rwanda set out to prosecute those at the very top of the Rwandan government and army, the likelihood is that those piracy suspects captured at sea are not the very top of the piracy trade, but rather the “tools” used to carry it out- the very people international tribunals have not sought to prosecute. Above are just some of the issues which will likely emerge once the ACtJHR is operational and begins to consider piracy cases. What is not in dispute is that piracy in the modern age has been a significant problem for Africa. It therefore seems logical that the ACtJHR will be the first international court to have jurisdiction over piracy cases. What remains to be seen is whether the Court will succeed in providing an African solution to this African problem. The European Court of Human Rights recently issued a decision (Ali Samatar and Others v. France and Hassan and Others v. France) ruling that French authorities had violated the rights of Somali pirates, when they held them in custody for an additional 48 hours on French soil, before officially charging them with specific crimes. One group of piracy suspects was held for four days before being transferred on to French soil, and another group was held for slightly over six days before being transferred to France and charged before a judicial authority; the Court held that these delays were justified, because of the existence of “completely exceptional circumstances” noting that the original arrests took place thousands of miles from French territory. However, the Court held that the additional 48-hour delay on French soil violated the suspects’ rights to liberty and security under the European Convention on Human Rights, Article 5(3). In fact, the European Court judges held that French authorities had ample time to draw up the official charges against these piracy suspects, while the suspects were held overseas (for four and six days respectively), and that the additional delay on French soil could not be justified because, according to a formal statement by the Court, “[t]he convention’s Article 5.3 was not designed to give the authorities the opportunity to intensify their investigations for the purpose of bringing formal charges against the suspects.” The Court did not fault French authorities for arresting the suspects abroad, or question the legality of such overseas arrests and detention practices. The Court ordered France to pay damages in the amount of 9,000 Euros to one group of pirates, and 7,000 Euros to the other. The Court press release is attached below. To the disappointment of many involved in the global fight against Somali piracy, the Intermediate Court of Mauritius acquitted twelve Somali piracy suspects in a verdict delivered on November 6, 2014. The twelve suspects had attempted to attack a Panama-flagged commercial vessel, MSC Jasmine, in early January 2013. Shortly after the attempted attack against MSC Jasmine, the suspects were apprehended by joint European Naval Forces, and brought to Mauritius to stand trial pursuant to a transfer agreement which Mauritius had concluded with the European Union. As I have previously blogged, similar transfer agreements exist between capturing authorities and two other regional partner States, Kenya and the Seychelles. While the latter two had already prosecuted numerous piracy suspects, this piracy trial was the first of its kind in Mauritius, and the acquittal appears surprising for both legal and political reasons. This conclusion led the court to determine that the issue of proper identification presents another hurdle in the prosecution’s case, because it is impossible to determine which of the twelve suspects were present on board the skiff during the attack, and which were merely accomplices waiting on the whaler/mother ship. “We find that it would be most unreasonable and unfair to find all twelve accused parties guilty as co-authors when we have clear evidence that not all of them formed part of the illegal act of violence, since some were in a whaler at significant distance from the skiff.” The court thus concluded that the prosecution had failed to establish its case, beyond a reasonable doubt, as to the identity of the suspects. This conclusion is unfortunate and in sharp contrast with other piracy prosecutions, including those in the Seychelles, which the prosecution had relied upon. While it is true that it may be difficult to determine which pirates had accomplished which roles in the piracy act, it is also true that many other courts have used “common intention” or “joint criminal enterprise” types of liability to prosecute groups of defendants, without having to determine the scope of their particular roles in the criminal endeavor. This prosecutorial tool is a widely accepted mechanism for imposing criminal liability on joint perpetrators, which should be available in all piracy prosecutions, like in the Seychelles. Otherwise, almost all piracy suspects will be able to shield themselves from liability by asserting that it is unclear which role each of them had played in a piracy attack. In addition, the court determined that the prosecution had failed to establish that the alleged piracy act satisfied the “high seas” requirement under the Mauritius Piracy and Maritime Violence Act. Section 2 of this Act defines the “high seas” as ““high seas –(a) has the same meaning as in UNCLOS; and (b) includes the EEZ.” In a bizarre twist of legal reasoning, the court determined that the term “EEZ” in Section 2 of the Piracy and Maritime Violence Act refers only to the Mauritian EEZ, so that the term “high seas” in Section 2, quoted above, only includes the Mauritian EEZ while excluding all other countries’ EEZs. Because the attack against MSC Jasmine took place within the Somali EEZ, the court determined that the prosecution had failed to satisfy the “high seas” requirement under Mauritian law. This conclusion is unfortunate and contrary to UNCLOS and many other national piracy laws. UNCLOS clearly defines the high seas as including all EEZs and excluding only the coastal states’ territorial seas. It is unclear how the Mauritian law can be interpreted differently, as it clearly states that the meaning of “high seas” is the same as in UNCLOS! This conclusion is unfortunate as well, as it appears that a case of piracy truly represents “exceptional circumstances” (under the European Convention on Human Rights) warranting a longer delay before the suspects are transferred to competent prosecuting authorities. The suspects had been apprehended on the high seas, far from Mauritius, and it was unclear which State would accept jurisdiction and subject these suspects to trial. Under such circumstances, a delay of three weeks appears more than reasonable, and it is unfortunate that the Mauritian court reached a different conclusion. While respecting procedural rights of any criminal defendant is of utmost importance to all democratic nations, detaining piracy suspects on board a ship for three weeks while determining where to ultimately prosecute them does not rise to the level of a flagrant due process violation which would justify a court’s decision to dismiss. It would have been far more beneficial, in light of the necessity to appropriately combat piracy on a judicial level, to convict these suspects, provided that the prosecution had established all the other elements of the offense of piracy. Last but not least, the outcome of this case is surprising politically. Mauritius had benefitted financially from its transfer agreement and its decision to open court-house doors to piracy prosecutions. In this particular case, the press had reported that Mauritius was paid the sum of 3 million Euros to accept these piracy suspects and to prosecute them in Mauritian courts. It appears from reading this verdict that the Mauritian court somehow forgot about its country’s important role in the global fight against piracy, and engaged instead in dubious legal reasoning leading toward acquittal. We can only hope that the case will be overturned on appeal. EU-Mauritius Transfer Agreement at Risk? It is our pleasure to welcome a post by Marta Bo, Visiting Researcher at the University of Amsterdam Center for International Law. Marta’s post discusses a recent challenge to the validity of the EU-Mauritius transfer agreement, brought by the European Parliament to the European Court of Justice. Welcome, Marta! In Case no. C-658-11 the European Parliament (EP) is requesting the Court of Justice of the European Union to annul Council Decision 2011/640/CFSP of 12 July 2011 on the agreement between the European Union and the Republic of Mauritius on the conditions of transfer of suspected pirates seized from the European Union Naval Force (EU NAVFOR) to the Republic of Mauritius. In its first plea, the EP contests the legal basis of the EU-Mauritius transfer agreement which was adopted within the framework of the common foreign and security policy (CFSP). The adoption of Article 37 TEU as a legal basis entailed, from a procedural point of view, the application of Article 218 (5) and (6) TFEU which dispense the Council from seeking the consent of or consulting the EP when concluding agreements which relate solely to the CFSP. According to the EP the contested decision is invalid because it does not exclusively relate to CFSP, but is also linked to other fields, such as judicial cooperation in criminal matters and police cooperation, to which the ordinary legislative procedure applies. In its second plea, the EP claims that the Council has fallen short of complying with the obligation to immediately and fully inform it at all stages of the procedure (Article 218 (10) TFEU). EU Council Joint Action 2008/851/CFSP was explicitly adopted to put into effect UNSC Resolutions 1814 (2008), 1816 (2008) e 1838 (2008) calling, inter alia, for international cooperation to combat the threat to international peace and security constituted by the situation in Somalia. To this end, the Joint Action established EU NAVFOR – operation Atalanta, the first European Security and Defence Policy (ESDP) naval military operation. Its mandate (extended until December 2014) embraces: a) the protection of both World Food Programme vessels delivering food aid to the Somali population and, more generally, of vulnerable vessels cruising the so-called Area of Operation; b) the deterrence, prevention and repression of acts of piracy and armed robbery off the Somali coast through the use of necessary measures, including the use of force; c) the arrest, detention and transfer of pirates in view of prosecution being brought under Article 12 . Article 12 of the ‘Atalanta’ Joint Action specifically deals with adjudicative jurisdiction and is the legal basis for agreements between the EU and third States on the transfer of suspected pirates captured by EU NAVFOR, such as the one concluded with Mauritius. It indeed provides that in case of inability or unwillingness of the flag Member State or the third State participating in the operation, of the vessel which took them captive, suspected pirates shall be transferred to a Member State or any third State which wishes to exercise its jurisdiction; on the other hand, transfers to any third State are prohibited when the conditions agreed for the transfer are inconsistent with international human rights law. It is against this background that Advocate General Bot in his Opinion delivered on 30 January 2014 assessed the content and objectives of the EU-Mauritius transfer agreement. In proposing the dismissal of the first EP’s plea AG Bot asserted that transfer agreements are not only closely linked to the ‘Atalanta’ Joint Action, which comes under the CFSP, but they are essential to its implementation and effectiveness (para 71 of the Opinion). The Joint Action is a measure that should be situated in the context of the fight against Somali piracy in order to preserve international peace and security having due regards to human rights (paras. 83 and 114 of the Opinion). The close link between transfer agreements and the ‘Atalanta’ Joint Action results in the formers squarely falling within the aims of the EU’s external action and, in particular, within Article 21(2)(a)-(c) and (h) TEU, which set out objectives traditionally assigned to the CFSP. In addition, although transfer agreements contain measures similar to judicial cooperation in criminal matters and police cooperation, such traditional instruments of the Area of Freedom, Security and Justice could be mobilized in favor of objectives of the CFSP and be absorbed therein (para. 118 of the Opinion). In AG Bot’s view the transfer agreement relates exclusively to the CFSP within the meaning of Article 218(6) TFEU and therefore the contested decision was rightly based solely within the framework of the CFSD. Although the Court of Justice does not have jurisdiction in matters related to the CFSP (Article 24(1) TEU), the AG claimed that the CFSP cannot completely escape the scrutiny of the EU judicature, because it must be able to assess the validity of the procedure adopted to conclude a treaty. AG Bot suggested that the second plea should also be dismissed in light of the fact that the obligation of the Council to inform the Parliament at all stages of the procedure is less stringent in CFSP procedures (where consent from or consultation of the Parliament is not required). Surprisingly, he argued that the Council complied with its obligation by informing the Parliament three months after the agreement was concluded. It now remains to be seen whether the Court of Justice will follow AG Bot’s arguments. In case it won’t, what consequences will a ruling of annulment have for the EU transfer agreement with Mauritius? Will the annulment have any impact on the piracy trials ongoing before Mauritian courts? Under Article 264 TFEU the institution whose act has been declared void is required to take the necessary measures to comply with the judgment of the Court. In brief, the Council will have to remedy the grounds on which the annulment was pronounced, which means that it will have to adopt the proper legal basis and procedure. Since there are important reasons of legal certainty, especially with regards to ongoing piracy trials before Mauritian Courts, the Court of Justice may also want to exercise its discretion either to decide which of the effects of the annulled decision shall be considered as definitive or to maintain its effects until a new decision is founded on an appropriate legal basis (Article 264 TFEU). This would ensure that previous transfers of pirates to Mauritian courts are unaffected by the Court’s ruling. Moreover, the adoption of the proper legal basis and procedure by the Council will also ensure that the EU avoids being in breach of its commitments under the agreement. Although the annulment of the EU internal act concluding the agreement cannot per se have any consequences with respect to Mauritius, it could impair EU capacity to comply with the obligations arising from the agreement, as a result of which the EU could incur international responsibility. Indeed, the EU remains responsible under international law for the performance of the treaty and could not invoke its internal law as justification for its failure to perform the agreement (Article 27 VCLTIOs ). In addition, it could not invoke the fact that its consent to be bound by the agreement was invalid since it was expressed in violation of its internal rules regarding competence to conclude treaties, in order to avoid international responsibility (Article 46 VCLTIOs). Although the VCLTIOs has not yet entered into force, the corresponding rules regarding Internal law and observance of treaties and Provisions of internal law regarding competence to conclude treaties contained in its sister Convention (Articles 27 and 46 VCLT) may be accepted as representing customary law, which is binding for the EU. Therefore, in light of the importance of the security of legal relations and the irrelevance of internal questions regarding the procedure used for the conclusion of a treaty, the responsibility of the EU for the performance of the transfer agreement cannot be affected by the annulment of the Council decision.